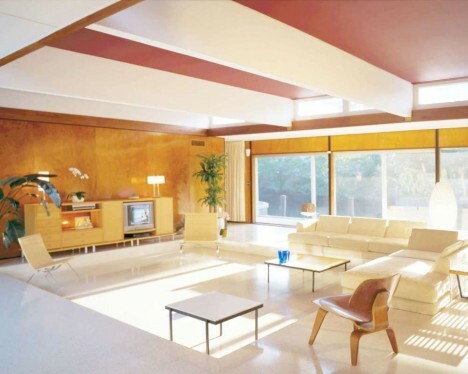 Eero Saarinen may be best-known to non-architects for the tulip chairs that can still be found in modern-leaning homes to this day, but the structures he designed blended his own sense of aesthetics with those of rationalist Ludwig Mies van der Rohe, incorporating lots of steel and glass. 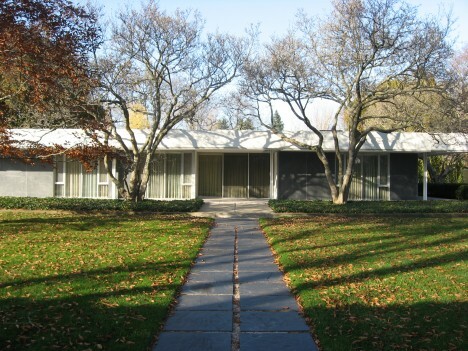 One example is the Miller House, an open-plan, flat-roofed home with stone and glass walls and a grid of skylights, which has since become a museum. 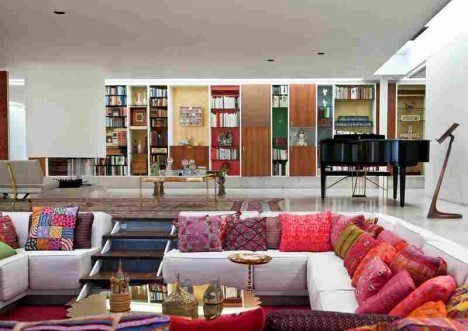 Its conversation pit alone is iconic. 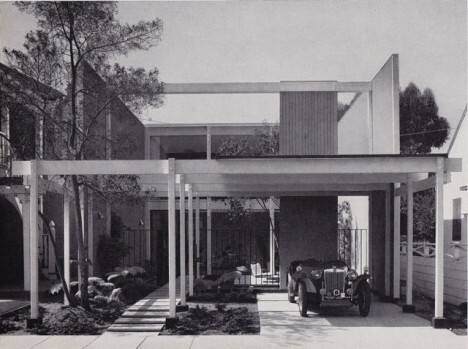 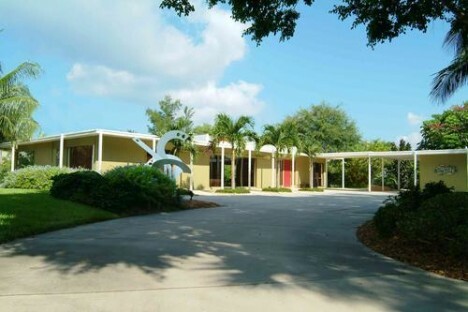 Sarasota, Florida is a forgotten treasure trove of modernist architecture, particularly those designed by Paul Rudolph. 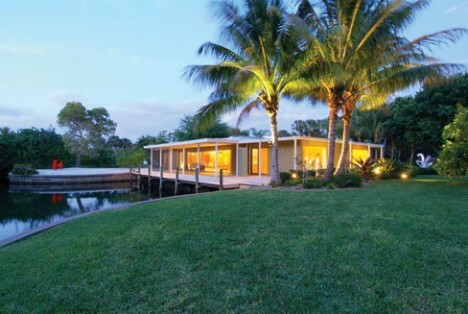 His creations, like the Cohen House, were specifically designed for Florida’s climate, with deep roof overhangs, sliding doors and lots of patios. 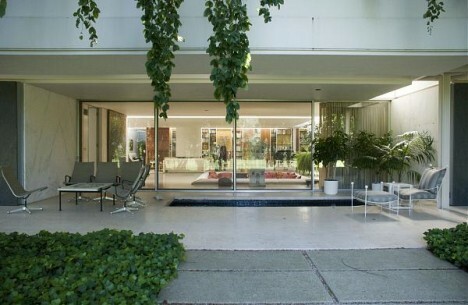 Air circulation and taking in views of subtropical locations are top priorities. 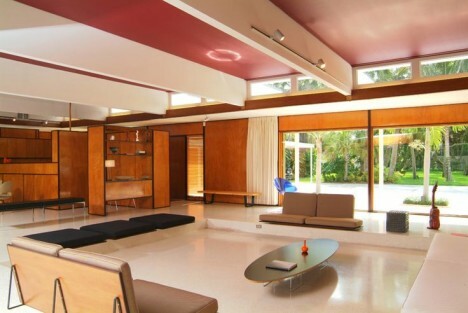 The Cohen House in Siesta Key fell into disrepair for a while under its original owners, and has been restored according to the original blueprints and photographs by Solstice Architects, but remains a prime example of the Sarasota School of Architecture style. 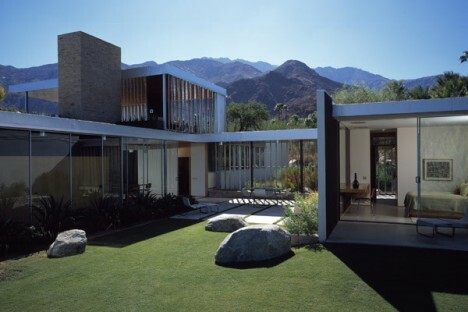 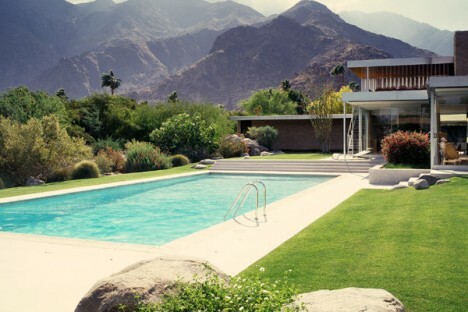 The same Kaufmann family who commissioned the Fallingwater house from Frank Lloyd Wright wanted a winter home in a sunny location, turning to architect Richard Neutra for a modernist getaway in Palm Springs. 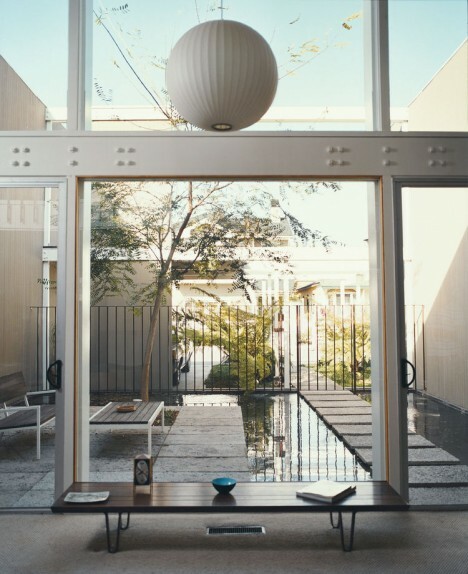 The various wings of the home project from a central hub to create a pinwheel shape, tucking private rooms behind stone walls and ensuring that the common areas get lots of sunshine. 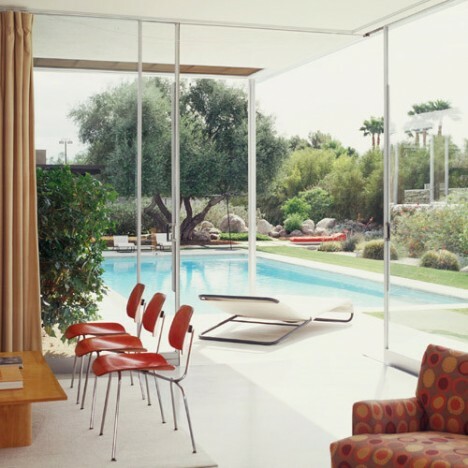 The swimming pool anchors the uneven balance of these wings, lending a visual cohesion. 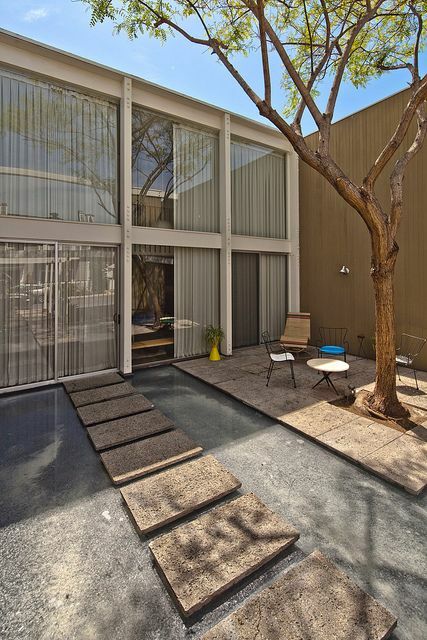 A lesser-known gem of midcentury design, the Goddard-Mandolene Residence was rescued from demolition and restored in 2010. 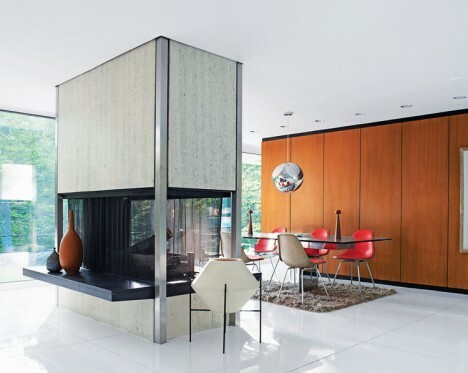 Many of the original features are preserved, the original tile floors covered in glossy resin and the characteristic glazed walls looking out onto the woods. 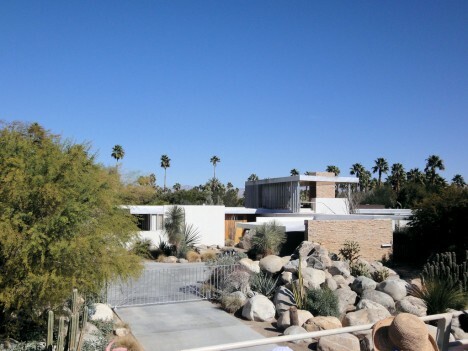 All of the glazing along the 95-foot-long western side can be opened to the outdoors. 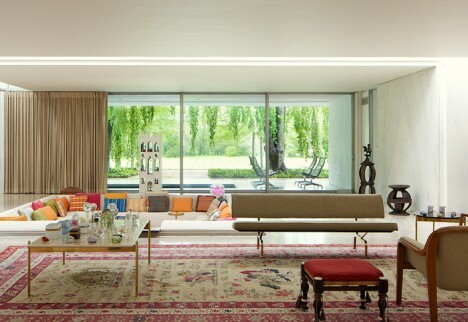 Another midcentury masterpiece that fell into ruin, Edward Killingsworth’s Opdahl House has been restored to its original state with the help of the original owners. 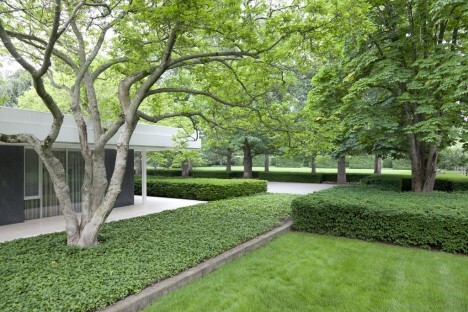 All the Opdahls originally specified when commissioning Killingsworth to complete the design was lots of glass so they could enjoy the trees on the property, including a massive oak out front. 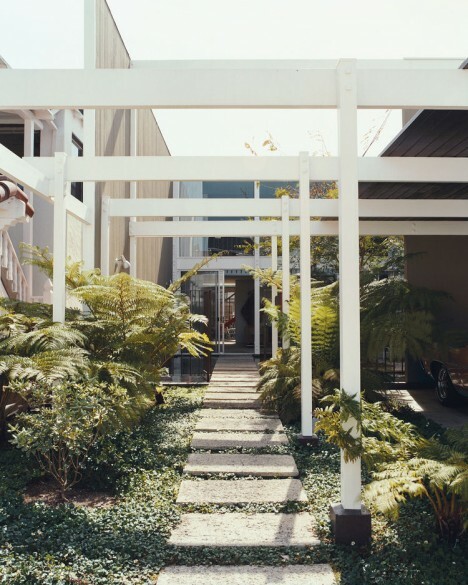 Eighteen-foot-high walls surround the property to provide privacy to the glass-walled home despite the extreme density on Naples, an island southeast of downtown Long Beach.